The school buildings are very well maintained. The modern classrooms are spacious, attractive and well-designed each having all the relevant resources for teaching in the 21st Century. The Foundation Phase, 3 – 7 year olds, benefit considerably from having large, vibrant and attractive classrooms. 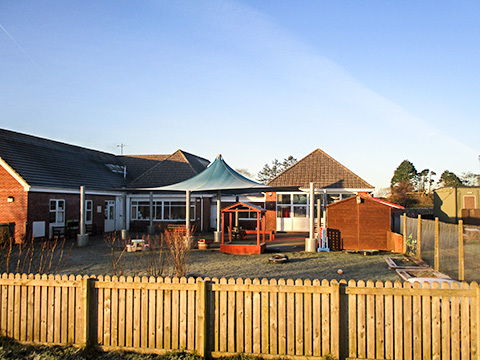 They have wonderful outdoor learning areas including two enclosed outdoor classrooms which both open directly onto the school ‘s extensive nature garden allowing children to learn and play in a stimulating natural environment. Various apparatus have been purchased for the children to use and the landscape developed to create purposeful playing areas. In Key Stage two, 7 – 11 year olds, the classrooms are welcoming and well furnished. Pupils in Year 3 and 4 are located in the Portacabins which are situated to the rear of the school while pupils in Year 5 and Year 6 are to be found in the main school building. All classes are equipped with interactive whiteboards and desktop computers. To further develop computing skills we have two laptop trolleys each containing 15 laptops with wireless broadband access. We also have 15 iPads which are used regularly across the curriculum. The iPads and laptops are carefully timetabled throughout the school. To ensure all pupils become digitally competent the school also has a computer suite and runs a Raspberry Pie Coding Club for the Key stage 2 pupils. There is a large school hall used for school assemblies, PE lessons, drama activities and for hosting school community events including Christmas concerts and St. David’s Day celebrations. The school hall also acts as a dining room; there is a well-equipped kitchen which prepares fresh meals daily. The Welsh Network of Healthy School Schemes commented that Lamphey Primary School has an excellent range of outdoor facilities. The internal environment is good with pupils work displayed attractively making it a very welcoming environment. The report also states that the school is calm, well organised with pupils going about their work in a well-behaved manner. 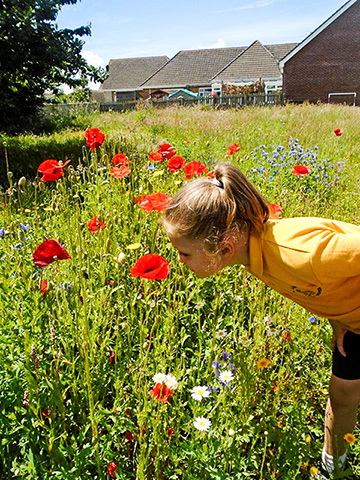 Our pupils benefit from outstanding outdoor learning and play areas. Outdoor facilities include: Two adventure playground areas, a large school field with an all-weather track, a traverse climbing wall, and sports pitches for rugby, netball and football. There is an extensive nature garden and woodland complete with log circle, giants reading chair, wooden benches, willow maze, orchard, bird hide, log piles and meadow areas which have been impressively developed to enhance the learning experiences of the children. This offers a beautiful and quiet retreat for children who wish to sit and talk to their friends, read or listen to the sounds of nature.